Add a touch to sophistication to your home with this contemporary floor lamp with a white marble base, brass plating on pole and frosted glass shade. •	This contemporary lamp will add a wow factor your special room. 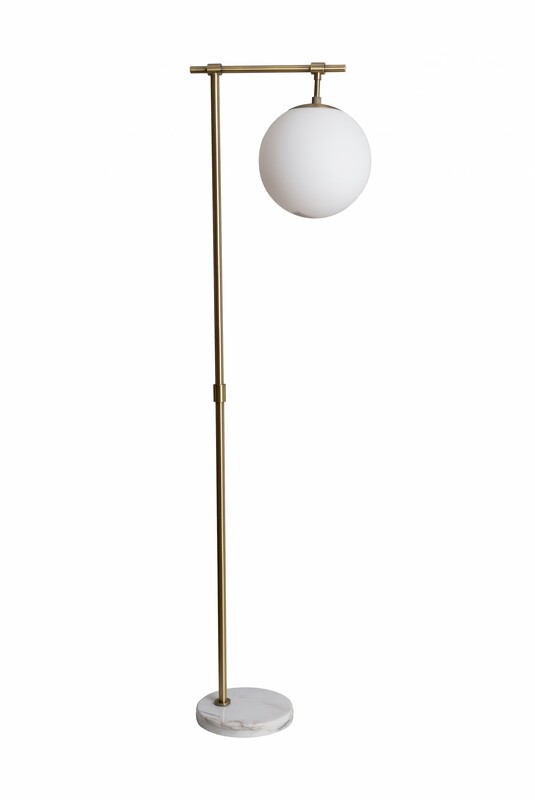 •	This decorative floor lamp will match any décor style and colour scheme. •	I t will look superb in your hallway, living room, bedroom or home office. It will be back in stock on 1st July.